Topic: "Must Have" Dobro Albums??? Looking to add to my collection, now that I'm obsessed with the reso. All of Mike's solo work. And many more for others to chip in! Heffernan / Auldridge / Rugg . The Great Dobro Sessions is a must have. The Resophonic Rodeo for some 7 string action. Stone Bottom Boogie, Junior Barber. I'd put this in must have category. Check out our German Forum friend, Martin Gross. I'm not sure if he has any albums out but there are many of his videos available on youtube. Here's his version of "Teach Your Children". Super clean picker - I love his string pulls behind the bar. Douglas, Aulridge, Ickes - "Three Bells "
Sorry, I could ignore JD! Some of Jerry Douglas' best and often, most beautiful work (IMHO) is on the Transatlantic Sessions DVD series where he is an ensemble player along with some of the best roots musicians in the world. Bella Fleck—Extraordinary dobro by Jerry Douglas, with a cast of the best. 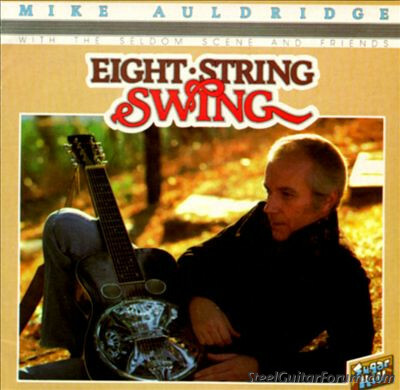 Dobro/Blues and Bluegrass (Mike Auldridge) - You REALLY have to have this one. Beverly King has two or three Oswald style (and sounding) records. Her tunes are simple, easy to learn and great to begin with. Somebody on Forum may have some of them. Gary Morse’s “Resophonic Rodeo” is another gem. Thanks guys. Great stuff, so far. Although.....you're costing me a load of $$$$! Tom Swatzell of Mel Bay fame put out a few and it's easy playing stuff. I didn't see his name but with my poor eyes, I could have missed it. 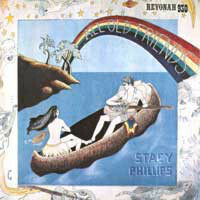 Learn how to back up a singer by listening to Al Perkins back up Emmylou on this 1992 live recording. It’s do-able by us mere mortal men. My current passion is Andy Hall with Infamous String Dusters.